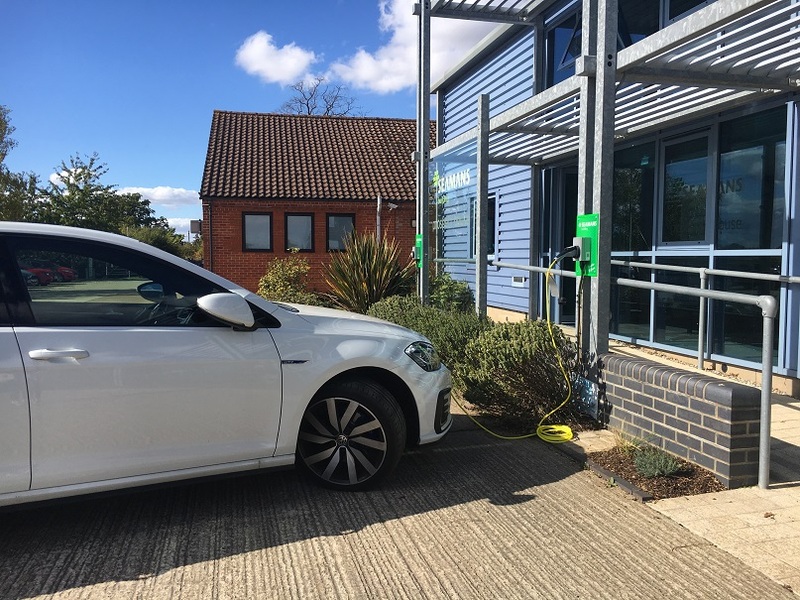 We are pleased to have recently installed 2 Electric car charging points to the front of our Head office here at Elm Farm Park. Seamans currently have 2 Hybrid cars within our fleet which require this facility, and we offer it to any guest who wishes to ‘top up’ on their visit to Seamans Building. This entry was posted in Case Studies, News and tagged car charging, Commercial Units, Eco, electric car, Elm Farm Park, environment, hybrid, Office Space, seamans building on 2nd October 2018 by Jenny.